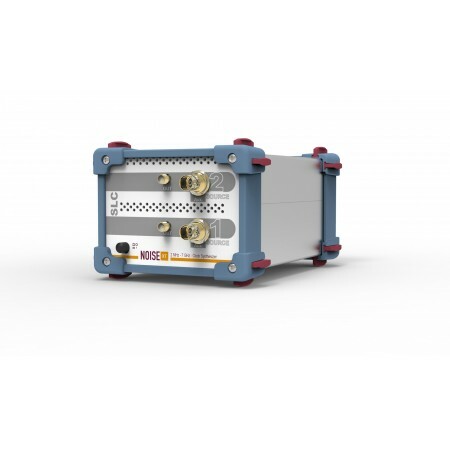 QuickSyn Frequency Synthesizer QuickSyn Lite mmW synthesizer modules use a frequency multiplier module that mounts on top of a standard 20 GHz QuickSyn Lite to extend the frequency range to mmW frequencies. The new modules are powered and controlled by the Quickyn Lite base unit, making integration and control simple for the user. Like all Quicksyn synthesizers, these new mmW sources include serial SPI and USB control interfaces and are immediately deployable by connecting them to a PC and a DC power source. A soft front panel allows the user to access frequency control and frequency sweep plus 32K-point LIST mode settings. Additionally, embedded firmware allows these modules to be used as part of integrated auto test solutions. Care has been taken to minimize sub-harmonics and spurious. In addition to being used as local oscillators in a frequency-converter application, the QuickSyn Lite mmW modules can easily be used as reference-calibration frequency sources. Also, because of their fast-tuning and high-resolution capability, the QuickSyn Lite mmW modules are ideal for characterizing antennas, semiconductor devices and other components requiring acquisition of large amounts of data in a short time.